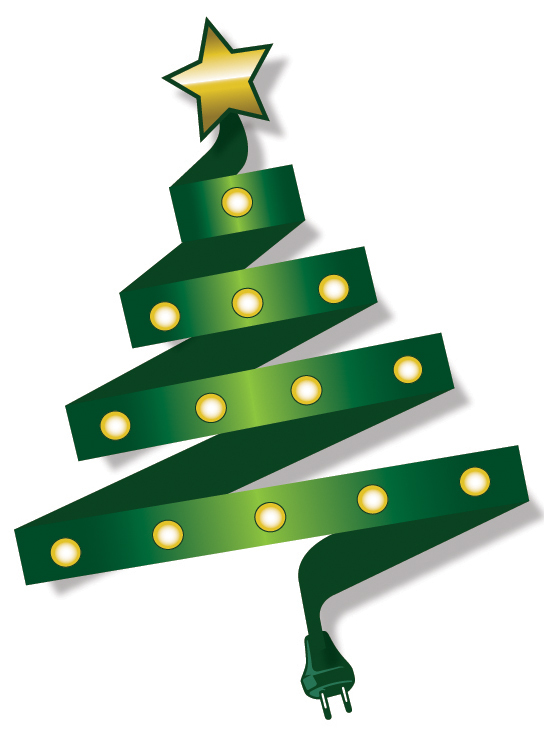 Energy saving LED Christmas lights have been on the scene for several years, but only in the last few years have we even considered using them. There were lots of pros and cons to switching to LED Christmas lights, but the “cons” are being addressed and in a few years will no longer be an issue. The LED light is more costly than the standard incandescent mini-light, but it lasts longer. 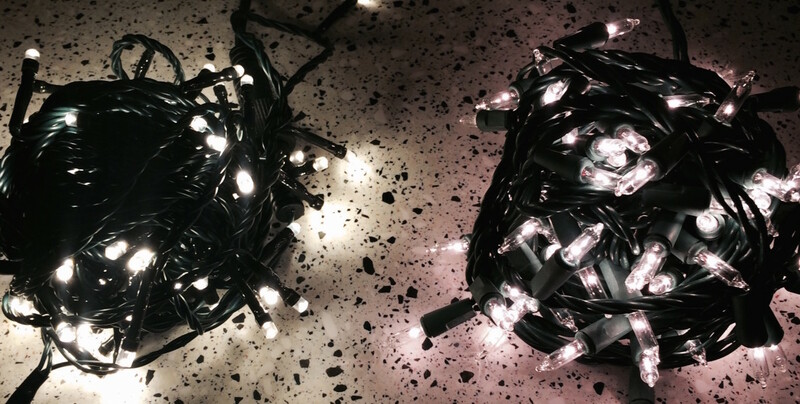 Numerous strands can be strung together, a big plus when outlets are not plentiful or when one uses hundreds of lights. It has no glass cover or filament to break. The temperature of the bulb is safer than a standard bulb that can get quite warm. The biggest hang-up was the “blue” harsh color of the clear light. Today that pure “cool” white color is rapidly being replaced by the more pleasant “warm” white light. In previous years the warm white light didn’t look like a true incandescent light, it looked more yellow than gold. But in recent years the technology has finally come around and today’s warm white light is almost identical to incandescent lights (see picture above). Mr. Christmas Lights exclusively uses the newest warm white Christmas lights.